Soylent is a meal replacement company that produces food products that require minimal effort and provide maximum nutrition. 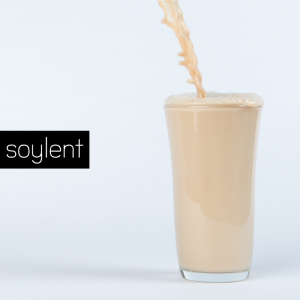 Consumers can choose whether they wish to try Soylent's powdered products for 1, 2, or 4 weeks. With Big Apple Buddy’s personal shopping service, you can now buy direct from the Soylent online store anytime, anywhere. Soylent’s meals are designed to take the hassle out of cooking while still providing you with a healthy does of nutrition. These meals allow you to prepare a day’s worth of nutrition in only 3 minutes - perfect for the time poor or kitchen averse. The Soylent website also gives users the flexibility to choose how many meals they wish to purchase: 28+ Meals, 56+ Meals or 112+ Meals. Unfortunately, the USA Soylent online store does not currently offer international shipping. However, Big Apple Buddy, your personal shopper, can help you buy products direct from the official USA Soylent online store and ship them to your doorstep, no matter where you are in the world. If you would like to buy from the USA Soylent online store, simply let us know which items you would like to order (by filling out the form below) and we’ll get back to you with a free international shipping quote within 24 hours!